May 31st - World No Tobacco Day - Your day to Quit! 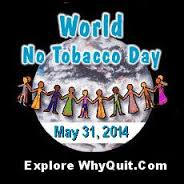 May 31st - World No Tobacco Day - Focus on this date! WORLD NO TOBACCO DAY COULD BE THE FIRST DAY OF THE REST OF YOUR LIFE AS A NON-SMOKER!! Don't let this day pass you by - Go For It!!! World No Tobacco Day - Woo Hoo!!!! You know it's time - you know you want to - help is all around you. If millions of people all over the world can do this then so can you. It is a filthy, expensive, dangerous, antisocial habit. there may be just one thing in among these pages that convinces you that you can quit. Dad smoked and now has emphysema - Mum ended up with asthma. I finally quit after 28 years - you can too! Cold Turkey - it's painful but worth it! The Electronic Cigarette -read about this amazing gadget! Nicotine Gum - Nicotine Replacement Therapy that might work for you. The Nicotine Monster is Very Real- read all about it here. Nicotine Patches - Another great Nicotine Replacement product. 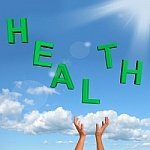 Reasons to Quit Smoking - a long list that keeps growing! Hypnosis - a great natural therapy. Anxiety attacks brought on by nicotine withdrawal. 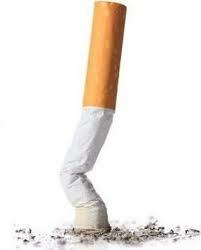 Many people gain weight when they quit smoking - help is here. Tips to help you lose that weight. Emphysema - this scary lung disease is caused by smoking. Champix (Chantix in the USA) is a prescription drug than could help you quit smoking. Zyban - another prescription drug designed to help you quit. All the 599 chemicals A-Z. The Chemicals in Cigarettes that begin with the letter A. The Chemicals in Cigarettes that begin with the letter B. The Chemicals in Cigarettes that begin with the letter C.
The Chemicals in Cigarettes that begin with the letter D.
The Chemicals in Cigarettes that begin with the letter E.
The Chemicals in Cigarettes that begin with the letter F, G and H.
The Chemicals in Cigarettes that begin with the letter I,J,K and L.
The Chemicals in Cigarettes that begin with the letter M.
The Chemicals in Cigarettes that begin with the letter N and O. The Chemicals in Cigarettes that begin with the letter P.
The Chemicals in Cigarettes that begin with the letter Q,R and S.
The Chemicals in Cigarettes that begin with the letter T,U,V,W,X,Y and Z.